Mobile payments are advertised as a quick and convenient way to pay for anything. Just tap your smartphone to the payment terminal and — like magic — your credit card is charged for your purchase. It really couldn't be easier. However, digital payments are a little more complicated than that. Paying for purchases with your smartphone can be convenient, sure, but the technology causes frustrations of its own. So if you don't know whether you want to tie your credit card to your smartphone just yet, check out these pros and cons of mobile payments, and learn what's required for them to work. For digital payments to work, several pieces need to fall into place. 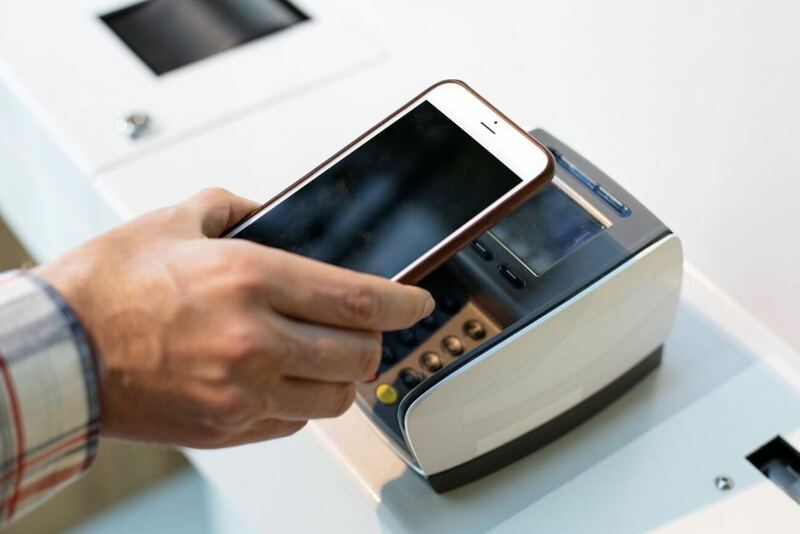 First, you need a phone that can make mobile payments — typically, a higher-end smartphone with near-field communication (NFC) to let it talk to payment terminals. Then you need to set up your existing credit cards in the mobile wallet your phone supports. Usually, that's Apple Pay for iPhones, Google Pay for Android phones, and Samsung Pay for Samsung phones. Some payment apps — like Chase Pay and Walmart Pay — work on nearly any phone. Set up payments through a mobile wallet your phone supports, such as Apple Pay for iPhones, Google Pay for Android phones, and Samsung Pay for Samsung phones. Next, the bank providing your credit card has to accept your mobile payment platform. And finally, the place you're shopping at needs to accept mobile payments from your chosen payment app. If any of those things don't happen, you aren't making a mobile payment. When mobile payments work the way they're designed to, they're not just convenient, they're astonishingly convenient. What else makes mobile payments so great? All you have to do to pay is tap your smartphone (or smartwatch) to the payment terminal and authenticate the transaction, usually with your fingerprint. Then you can walk out of the store. You don't have to dig through your wallet, swipe a card, or sign anything. Just tap and go. Most mobile payment apps are tokenized, which means they don't store or send your credit card information. When you initially enter your card information, the app verifies it with your bank and afterwards, uses a "token" as a stand-in for your personal information. Each transaction is made using that token combined with a one-time-use security code. Even if a hacker got these things, they wouldn't be able to use your credit card. They're more physically secure, too. If your phone is lost or stolen, a thief won't be able to run up big credit card bills. Why? Because your payment information should still be secured behind a passcode or biometric authentication (or both). If you're carrying cash or credit cards, your money is as good as spent if a thief makes off with your wallet. Most major retailers accept some form of mobile payment — though not always the one you want to use. If you're in an urban area, there's a good chance you have a lot of mobile payment options. You don't have to carry cash or cards around because everything you need to make a purchase is on your phone (and you're probably carrying that anyway). Most mobile wallets let you add store loyalty or rewards cards. When you make a mobile purchase using a credit card in the wallet, it'll automatically link the purchase to your rewards program. Thus, you get all the benefits of a rewards programwithout having to carry the card in your wallet. Once you've successfully used your phone to pay for something, you may never want to go back to digging through your wallet and signing receipts after every transaction. But you may not have a choice, because mobile payments have their flaws, too. While mobile payments are accepted at a growing number of retailers, tons of stores don't take them. Apple Pay is the most widely accepted form of digital payment, and even so, only 36% of North American retailers support it. Though another 22% say they intend to accept Apple Pay within the next year, that still means more than 40% of the stores you visit won't accept it. Apple Pay is the most widely accepted form of digital payment, but only 36% of North American retailers support it. Even if they are accepted, they aren't all accepted. A store may accept digital payments, but it's unlikely to accept all of them. So you could walk into a retailer that's digital payment friendly but still have to use your credit card. For example, Walmart accepts mobile payments, but only from its own Walmart Pay platform, which only works at Walmart. Every transaction leaves a digital record, which makes some people concerned about privacy. While these certainly aren't posted publicly, there's always the fear of hackers. They're only supported by certain phones. Payments are tied to your phone. If your phone is lost or stolen — or even if the battery dies — you're out of luck, because you can't make payments. Mobile payments are convenient when they work. But whether they'll work for you depends on where you shop and even the kind of phone you have. If you regularly shop at stores that accept mobile payments, great! You're on the path to a more convenient future. Otherwise, mobile payments can be a hassle — and they aren't reliable enough yet that you can leave your wallet at home. Elizabeth Harper is a contributing writer at dealnews. Republished with permission.